While I spend a lot of time with Portland’s cocktail and micro-distillery world for DrinkSpirits.com, I can’t help but be drawn to all the amazing wine and beer festivals and events that take place in Portland year round. 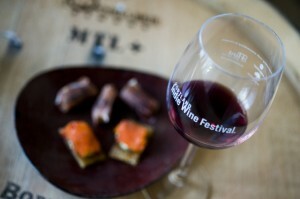 One event which has always been on my radar screen is the Portland Indie Wine & Food Festival. Now in its sixth year, this home-grown event has blossomed into one of Portland’s more notable culinary expos. The festival features 40 of the top wines selected from a pool of Oregon craft wineries which produce no more than 2,500 cases or more. This year they’ve added a special section to spotlight top scoring reds under $25 and whites under $15. Judges for the 2010 festival include Claud Mann of TBS’ Dinner and a Movie, journalist and author Alice Feiring, James Beard nominated Chef Cathy Whims of Nostrana, and Bernie Sun, Corporate Beverage Director at Jean-Georges Management, LLC. Portland’s top chefs will join the selected 40 craft producers and serve up sophisticated wine-friendly bites. The 2010 Portland Indie Wine & Food Festival will take place at the Bison Building (19 NE 10th Avenue, Portland, Oregon 97232) on Saturday, May 8th from 2 – 6 p.m. Tickets are $75/person and include one tasting glass, festival passport and access to pours from all wineries and food from all the featured restaurants.